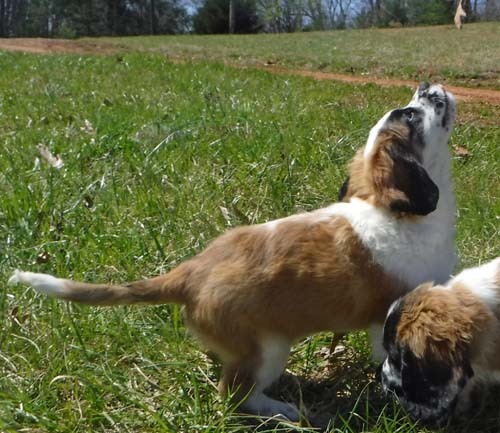 We are once again adding a very limited number of Miniature Saint Bernards and Miniature Saint Berdoodles to our breeding program. 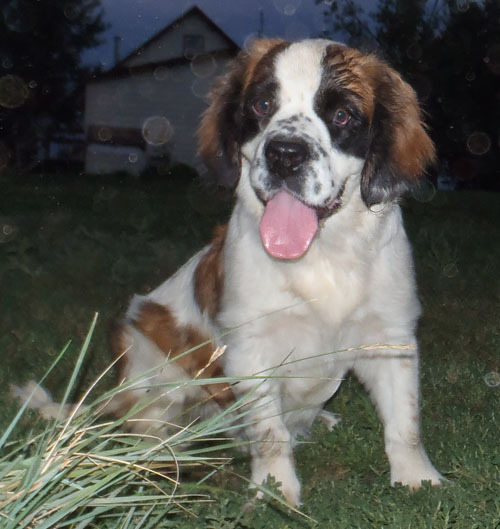 "Liberty Bell" aka "Liberty" or "Libby" is an adorable little Miniature Saint Bernard, born January 21st, 2012, out of Motto and Belle. She is brown, white, and has a black mask. Extra gentle girl! She is very short, and super stocky! Great in type! We will mostly breed Liberty to Jack for Miniature Saint Berdoodle puppies. 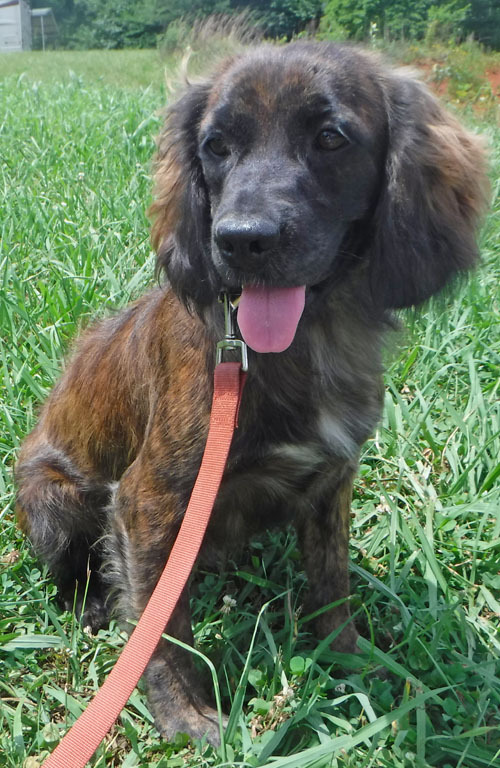 We do plan to breed her to a Radar at least once, for at least 1 keeper pup. "Jack Frost" aka "Jack" is an adorable little Shihpoo, born November 17th, 2017. He is blue merle and white parti, with a partial blue eye. 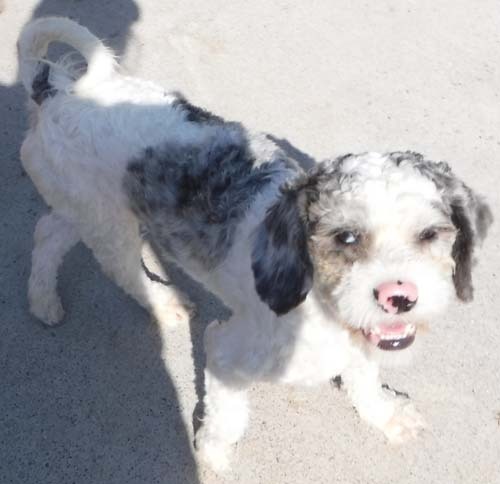 With his wide head, and wide, short nose, as well as his very tightly curled coat,and excellent personality and temperament, all in the perfect size, he will sire extra adorable Miniature Saint Berdoodle puppies! Jack loves toys, and will even carry a dish around. Pictured with a haircut. 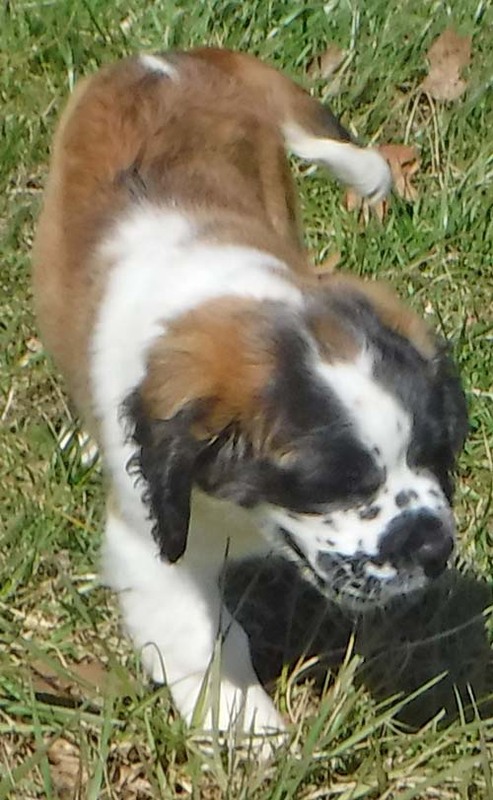 "Dancing Tilda" aka "Tilly" is a tiny little Miniature Saint Bernard female, born October 12th, 2017, out of Beethoven and Missy. She is a unique brindle with a very black mask. 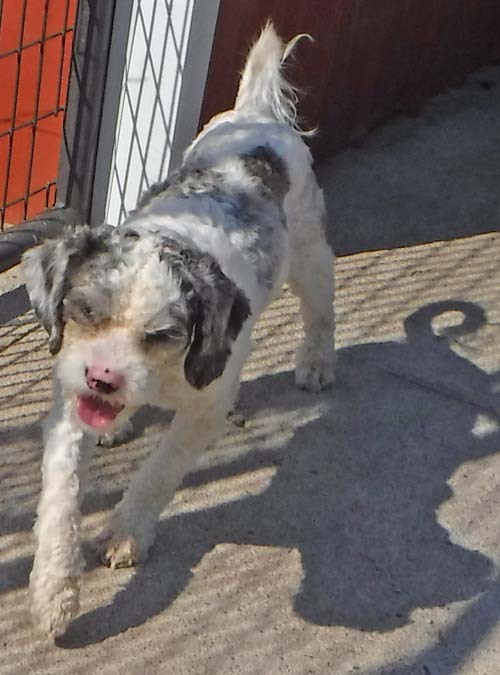 Fun, sweet, gentle girl! We will mostly breed Tilly to Jack for Miniature Saint Berdoodle puppies. Time line and plans: Deposits are accepted! Tilly and Jack, due to have Miniature Saint Berdoodle puppies around early to mid Novemeber! 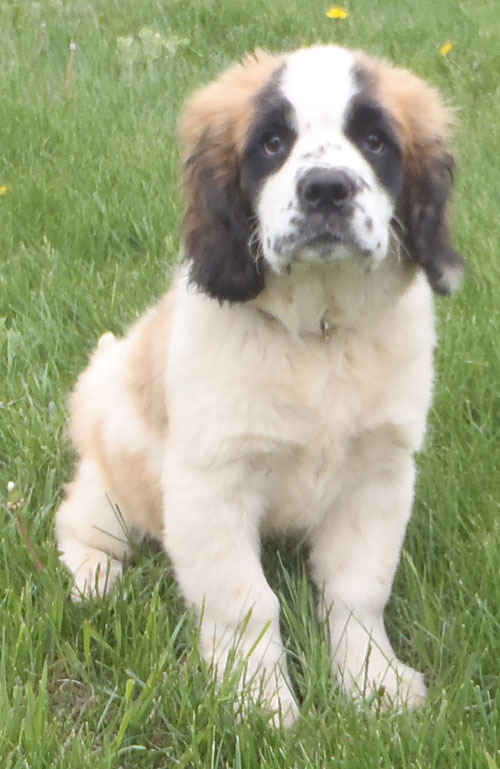 Puppies should mature around 20 to 30 pounds? Lots of colors possible! Showing pregnant! 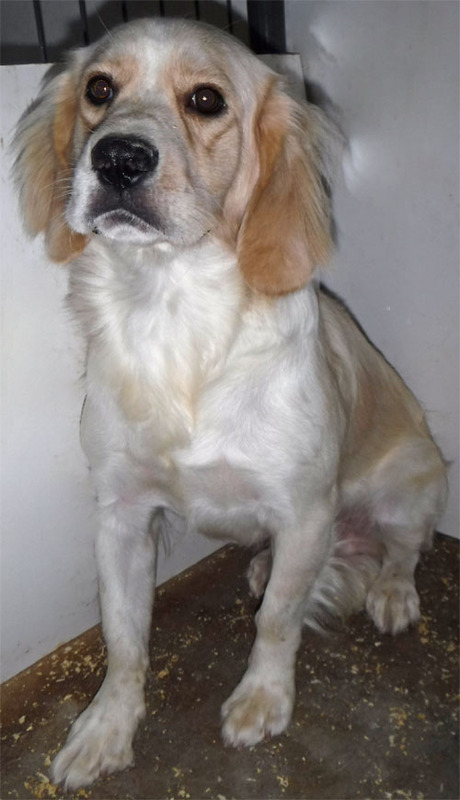 We plan to breed Liberty to Radar, for puppies due to be born in the summer? Medium sized, to mature around 35 to 45 pounds? Expected to be short, but stocky. 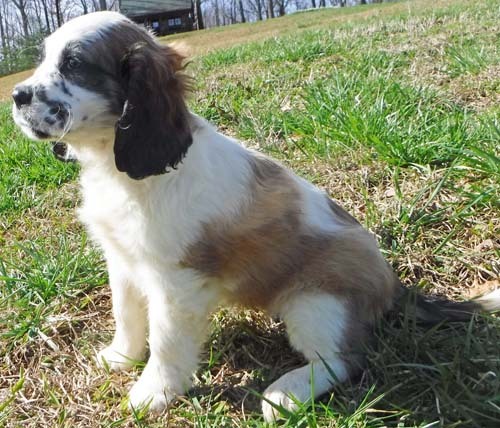 We will likely be keeping a pup or two, possibly even three, from this litter. We reserve the right for first pick of this litter. We are not very sure on prices at this time. 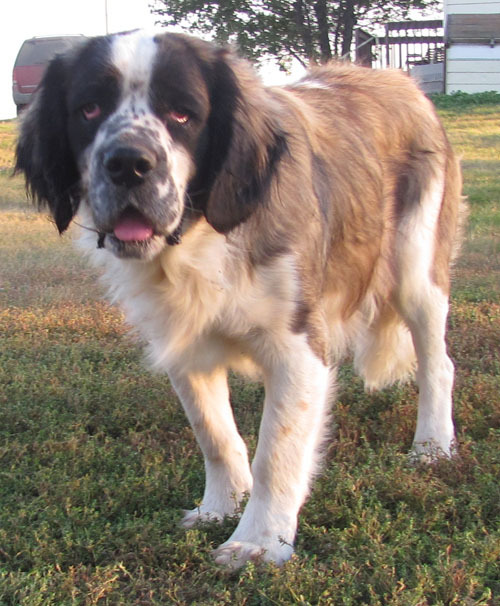 They may range, according to size, coloring, type, coat, and gender? 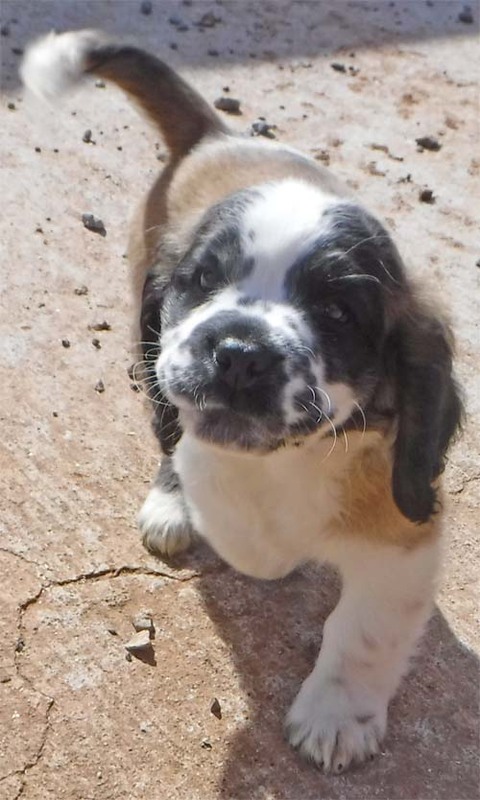 Mini Saint Berdoodles will likely range from $900 upwards to $2,000 per puppy? 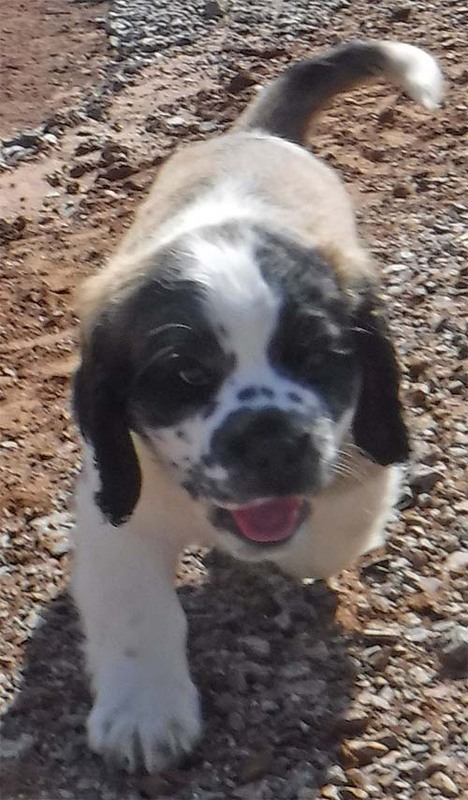 Likely a black and white male Mini Saint Berdoodle will be the lowest priced, and a merle and white, blue eyed female puppy will be the highest. 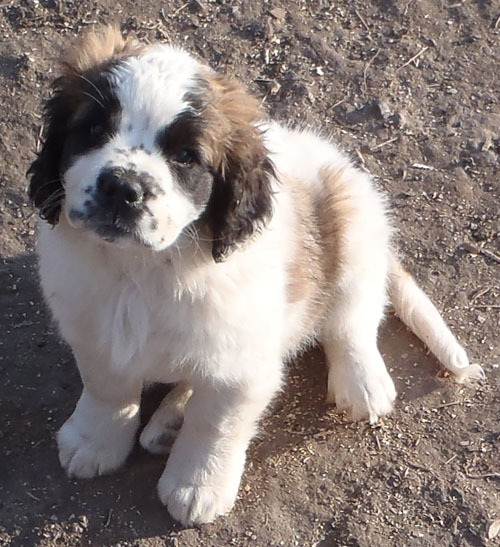 Miniature Saint Bernard puppies will also range in price. Perfect type will be priced the highest. If any are off colored, they will be the lowest priced. 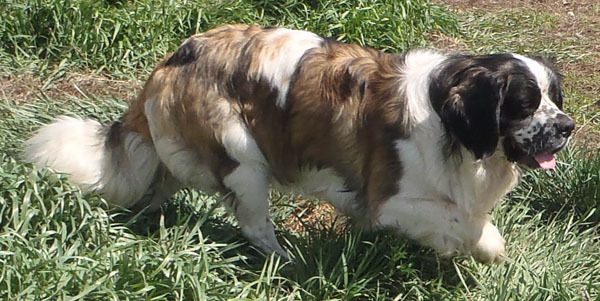 Off colored could be cream and white, black and white, or even black and white with tan markings? Red and white with a darker red mask would be acceptable, (and actually gorgoeus), and brown and white with a black mask is ideal! 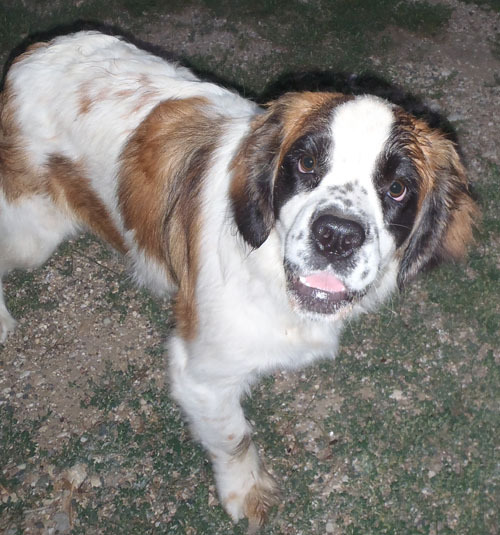 "Saint Bernard" type is also very important! 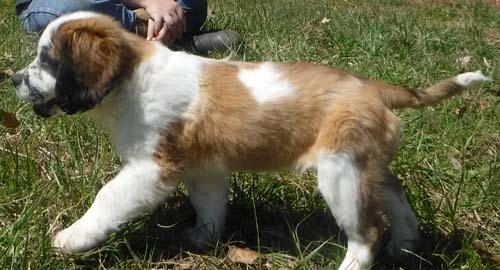 The smaller a puppy, with the right coloring and type, will be the highest priced. 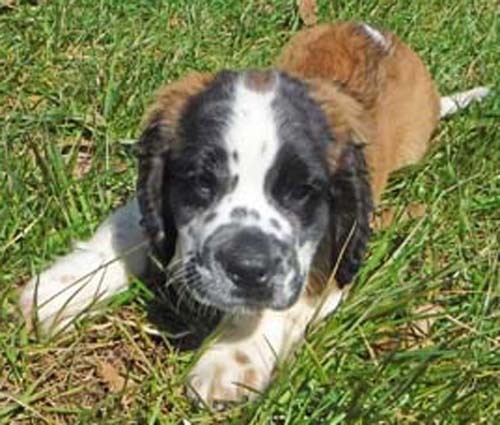 Puppies could be as low as $500, if off colored? And as high as $2,000, if totally perfect and tiny? Most will range from $1,000 to $1,500. 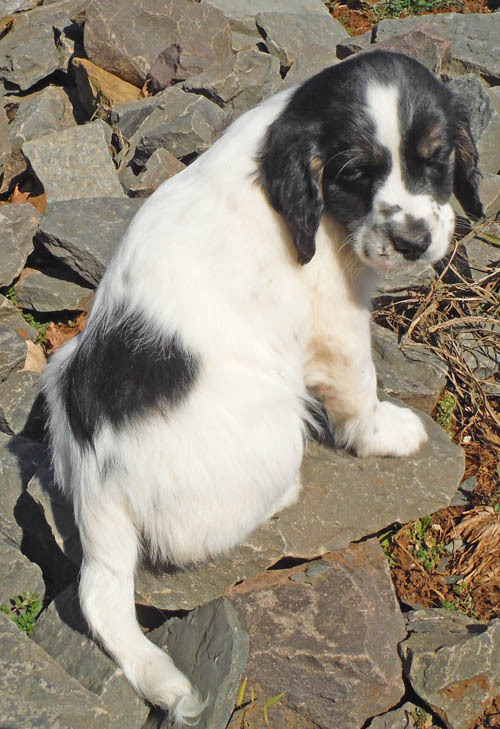 Any puppies that might be off colored, such as cream and white, will be lower priced. 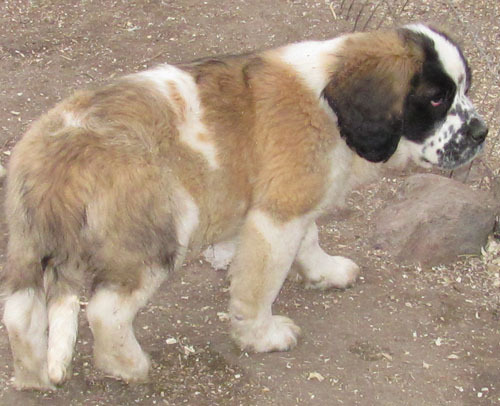 Breeding pairs of Miniature Saint Bernards will be availbale at $1,000 each, above their normal price. 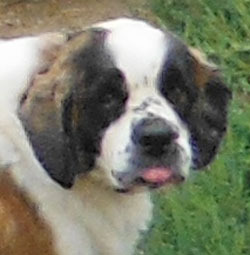 "Bailey Diageo" aka "Bailey" is a cute little Miniature Saint Bernard, born September 14th, 2011, out of Pal and Kalli. 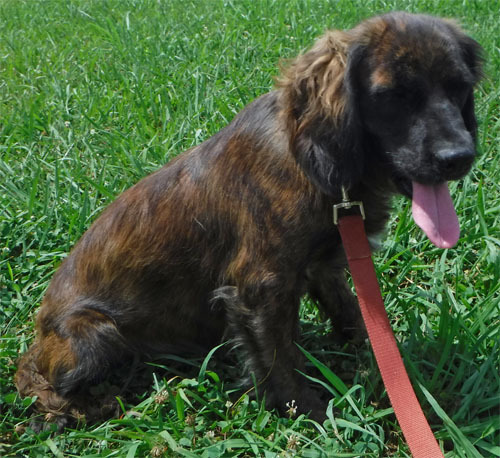 She is mostly brown, with some white, and a black mask. Bailey is a full sister to Ava, but Bailey is much smaller! 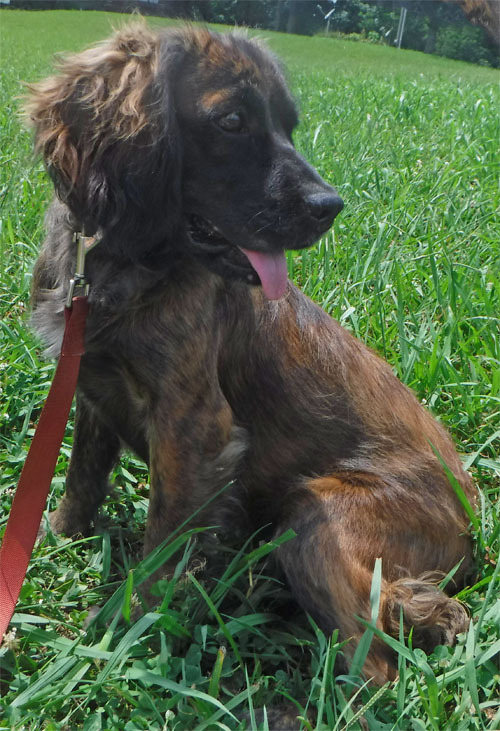 Very sweet, gentle, super easy to train, gentle little girl. 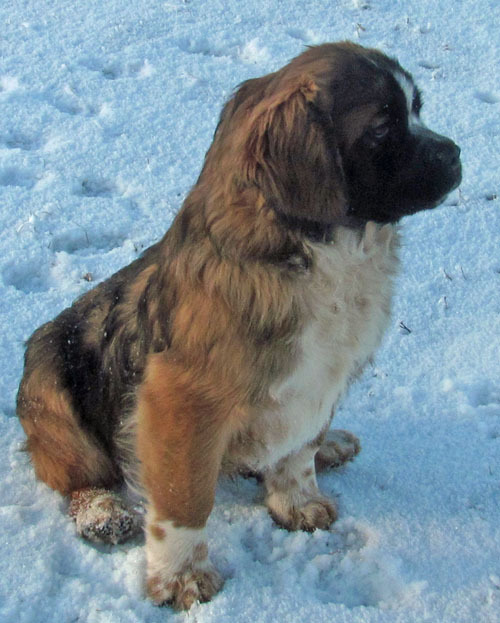 Bailey may be bred to any of our 3 males, for Miniature Saint Bernards, or Miniature Saint berdoodles. 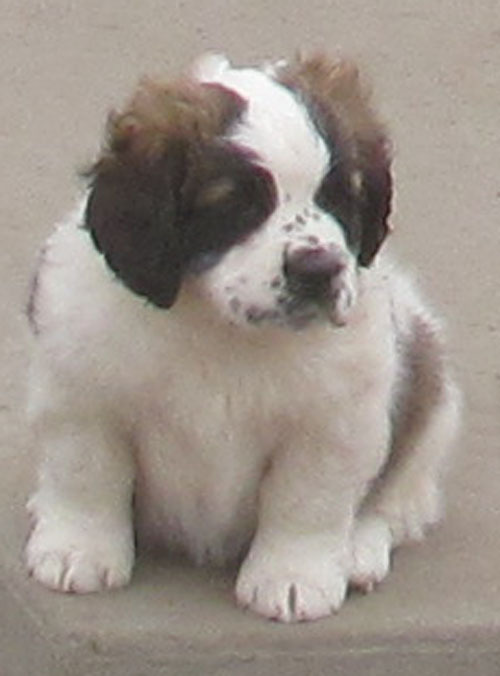 Miniature Saint Bernard. 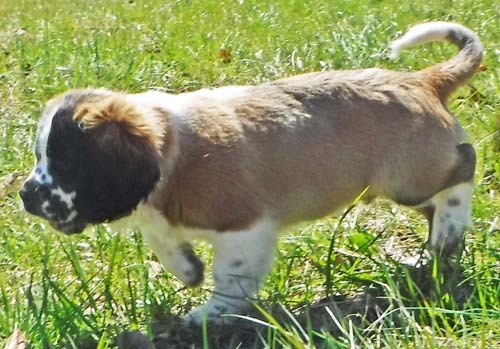 Brown, black mask, & white male,out of Dot & Brutes, born on December 24th, 2010! Very perfect boy! Short, but with lots of bone! 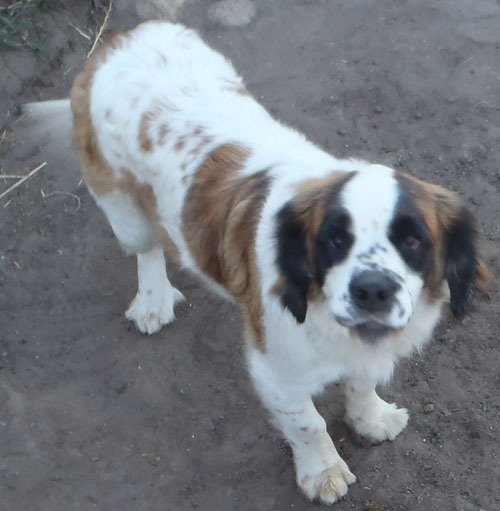 Super stocky, sweet, gentle, friendly, all around perfect boy! 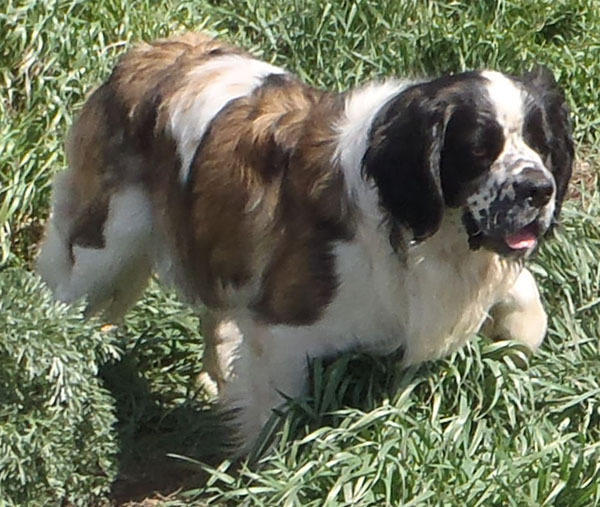 Motto will be bred to Ava and possible also to Bailey for Miniature Saint Bernard puppies. 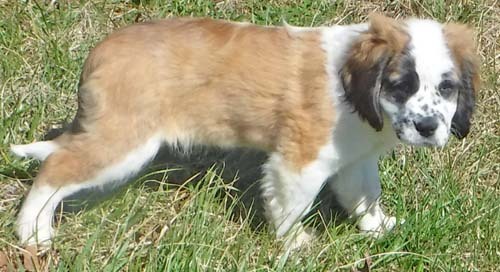 Cream and white male Micro Saint Bernard, born on May 15, 2017, out of Charlene and Beethoven. Radar is not perfect, in coloring or type. 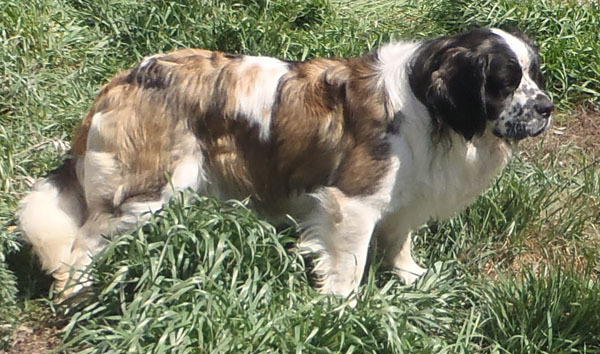 However, he does come out of excellent bloodlines, with his parents being very perfect in coloring and type! 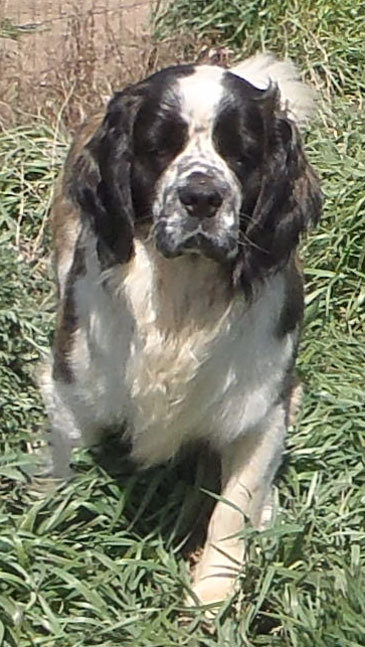 Because Miniature Saint Bernards are very rare, and very hard to find, we will be breeding Radar to Liberty at least once! 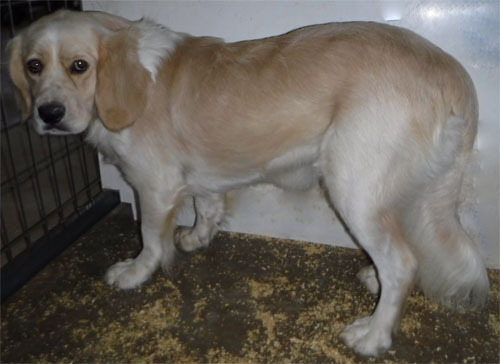 Liberty is very perfect in type, and she has never yet thrown any cream colored puppies. 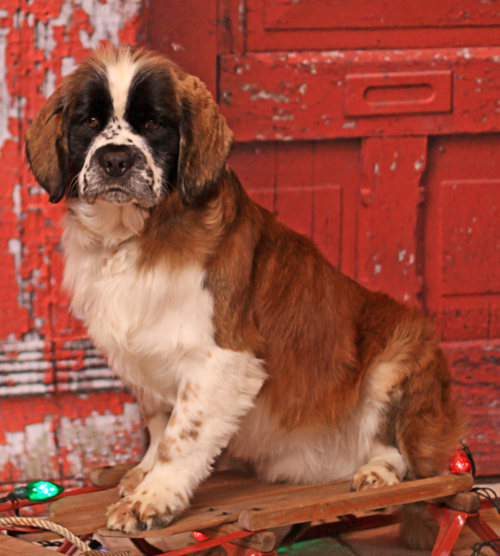 We are expecting to get super nice Miniature Saint Bernard puppies out of Radar with Liberty! 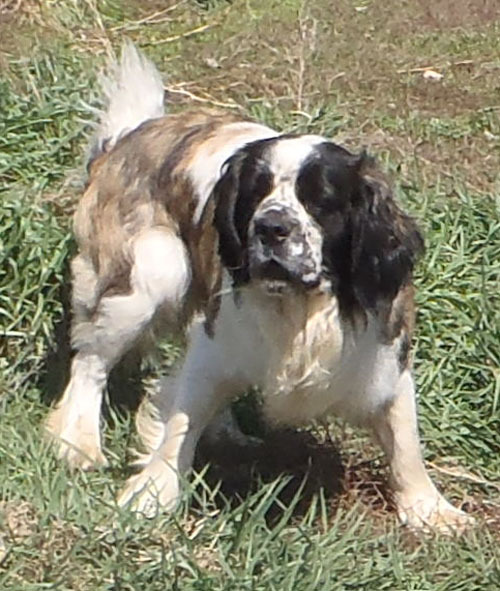 Radar is also not related to Ava or Bailey! 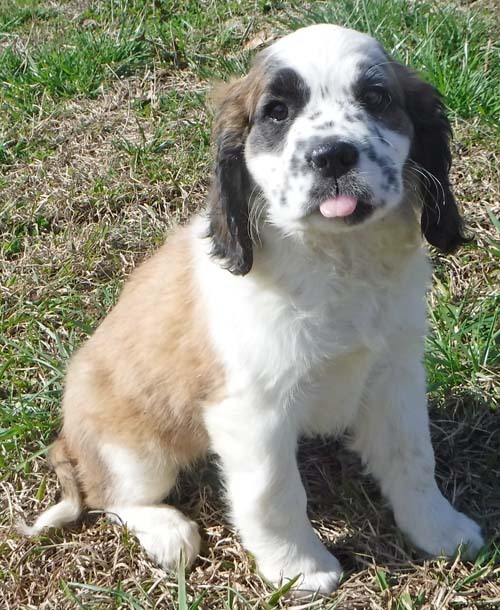 "Annabel Lee" AKA "Annie", brown, black mask, and white female Miniature Saint Bernard, born December 21st, 2018. 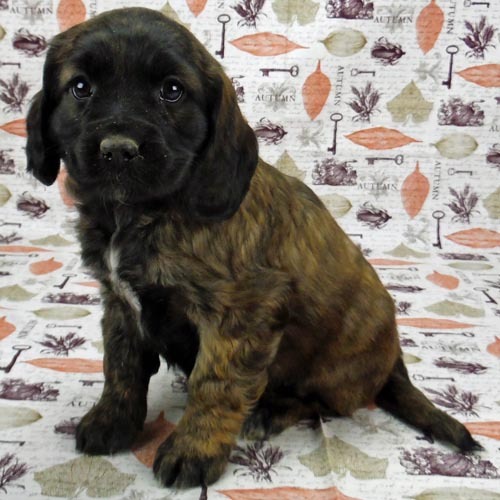 Sweet little girl, who we will mostly be breeding to Jack for Miniature Saint Berdoodles, but might also consider breeding her to Motto, for Miniature Saint Bernards? Annie's face and eyes are very expressive! 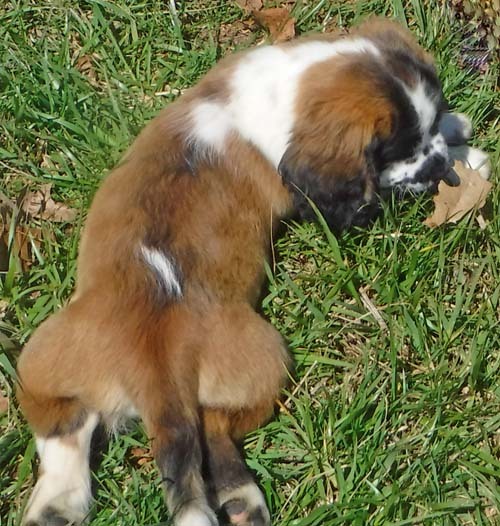 "Bernie Mac Attack", AKA "Bernie", brown, black mask, and white male Miniature Saint Bernard, born December 21st, 2018. Bernie is just the cutest boy! 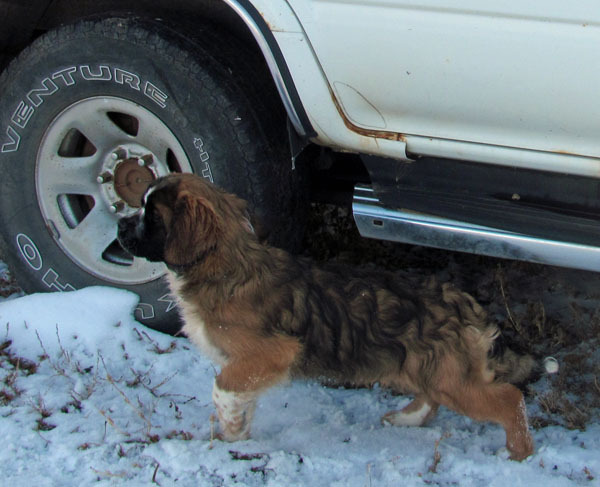 Very stocky, thick legs, wide head, but still so small! 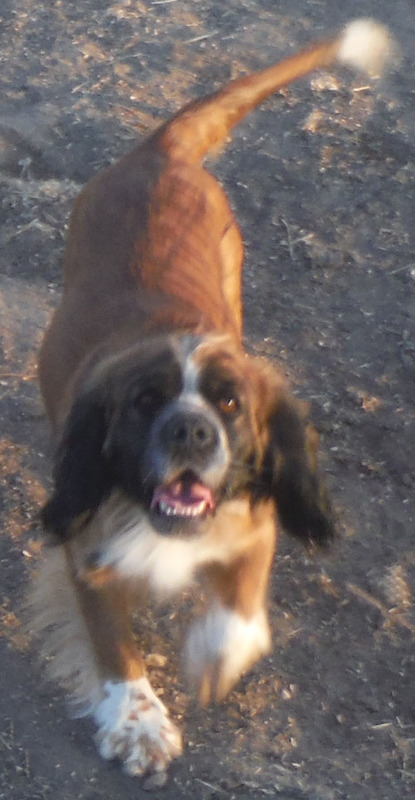 Bernie has the Saint Bernard strut down!